Jack offers the game a 5/10, which is a little under the average that the game seems to have earned across the board. At time of writing, Opencritic puts We Happy Few at a 66, while Metacritic takes it just a hair higher, at a 68 (although both of those scores are subject to some degree of change). 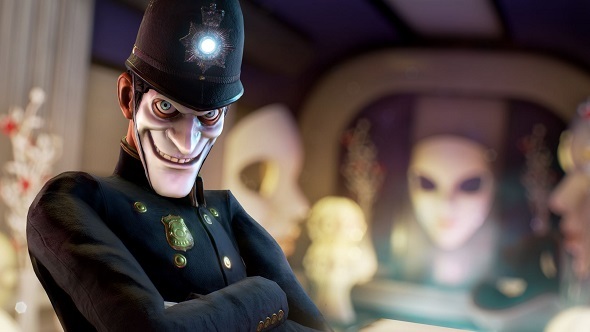 To give you an easy snapshot of who thought what, we’ve put together a selection of We Happy Few reviews. Unless otherwise stated, all reviews are on PC. It’s a mixed bag then, if you were planning on picking the game up and are now doubting your decision, you can take some solace in those GamesRadar and Game Informer scores. It’s also worth pointing out that some of what contributed to lower scores seems to have been bugs and pacing issues that could be more relevant to review builds than the finished product. We Happy Few releases tomorrow, August 10.